We are home!!! As you can tell from the picture above Ladybug is very, very happy to be home. The final consensus was that she had a severe ear infection. Ladybug woke up yesterday and I noticed there was yucky goop coming out of her ear. The peds team called the ENT doc (ear nose throat) who took one look and brought her to the clinic. Ladybug’s ear tube was blocked and needed to be suctioned. Turns out she has a massive ear infection that couldn’t drain because the tube was blocked. Not one of the 4 doctors who previously looked in her ear noticed the tube was blocked. If it wasn’t caught the infection could have easily spread. It’s pretty scary stuff. Aside from being extremely tired, and irritable from the pain she is doing well. I too am recovering. 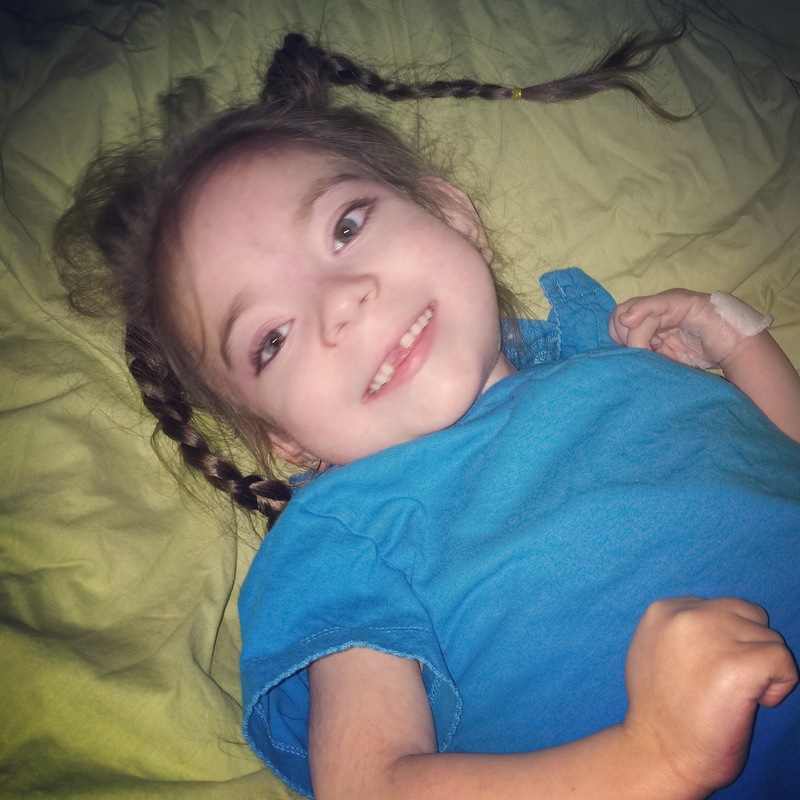 Hospital stays are certainly not like they were when Ladybug was an only child. I now have two additional little ones to think of. I’m eternally grateful to my parents (especially my mom) for taking such good care of my two little princes, to my brother and sister in law for bringing my little man to the barn to help with chores, and to my next door neighbours who have become a part of our family, for taking care of our furry kid without us even asking. I also want to thank my friends, family and complete strangers for all your continuous prayers and well wishes for Ladybug. It means the world to us.